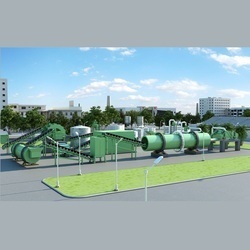 Offering you a complete choice of products which include m sand processing plant, gold processing plant, chemical plant, copper extraction plants, bauxite processing plants and zircon benefication plants. 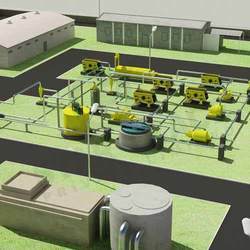 Gold Processing Plant includes the large gamut of Industrial Plants processing solutions rendered by us .These plants are designed to carry out different processes such as crushing, grinding, benefaction, and smelting. These are used for extraction of mineral contents from mining tailings. It is also beneficial to the environment since the tailings are known to harm the ecosystem. We are highly acclaimed for our turnkey services and we work in close association with our esteemed clients for catering to their individual needs. Star Trace has been providing a standard technique for extracting the mineral contents from the mining tailings. Star Trace will start the process by sample testing through the mineral content of the tailings. After the successful result, Star trace will supply the equipment and training process to extracting the mineral concentration. And also we will provide the client for the concentrated extraction. Tailings is always an unnecessary by product of the mining from an environment. The damaging materials into surrounding soil have leach environmentally by these tailings are also left in the piles. This process is mostly affects the water tables and wildlife for years to come. Star Trace process radically reduces the acid forming in the content of mineral by tailings using the extraction process of mineral. Thus, in the result of the tailings of the cleaner and the process of extraction in the significant amounts of the invaluable minerals. By using our products it provides the profit to the clients and our technology is use to stop damage to the environment. 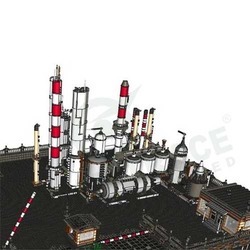 Chemical Plant are the result of Our vast domain experience of manufacturing and supplying to Industrial Plants. We manufacture these in strict adherence to set protocols of the industry. We also maintain rigid norms of quality by following well defined standards of the industry to manufacture these plants. 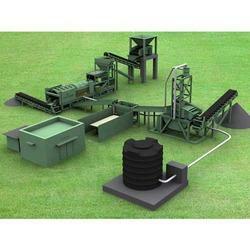 We offer turnkey solutions for copper extraction plants. We are one of the leading project suppliers for copper extraction plants and we work closely with our customers to fulfill their specific needs for a customized packaged solution. specialized in the fabrication of these machines for 25 years and this enables us to be in a leading position in the field of copper extraction plant & equipment. Turnkey solutions for bauxite ore processing plants are offered by Star Trace.We are one of the leading project suppliers for bauxite ore plants and we work closely with our customers to fulfil their specific needs for a customized packaged solution. specialized in the fabrication of these machines for 25 years and this enables us to be in a leading position in the field of bauxite ore processing plant & equipment. 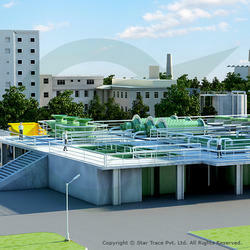 Zircon benefication plant”s turnkey solution is provided by Star Trace. We are one of the leading project suppliers for zircon plants and we work closely with our customers to fulfill their specific needs for a customized packaged solution. Specialized in the fabrication of these machines for 25 years and this enables us to be in a leading position in the field of Zircon Beneficiation plant & equipment. 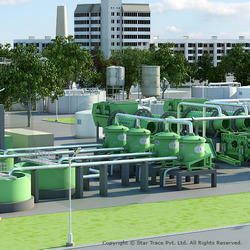 Turnkey solutions for Nickel Processing Plants are offered by Star Trace. We are one of the leading project suppliers for nickel ore plants and we work closely with our customers to fulfill their specific needs for a customized packaged solution. Specialized in the fabrication of these machines for 25 years and this enables us to be in a leading position in the field of nickel ore processing plant & equipment. 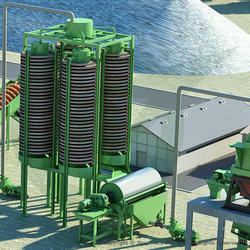 Turnkey solutions for chromite ore processing plants are offered by Star Trace. We are one of the leading project suppliers for chromite ore plants and we work closely with our customers to fulfill their specific needs for a customized packaged solution. Specialized in the fabrication of these machines for 25 years and this enables us to be in a leading position in the field of chromite ore processing plant & equipment. 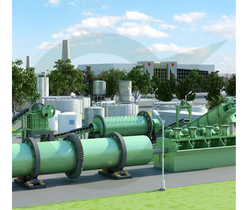 Dune Sand Processing Plant turnkey solutions are provided by Star Trace.We are one of the leading project suppliers for dune sand plants and we work closely with our customers to fulfil their specific needs for a customized packaged solution. specialized in the fabrication of these machines for 25 years and this enables us to be in a leading position in the field of dune sand processing plant & equipment. 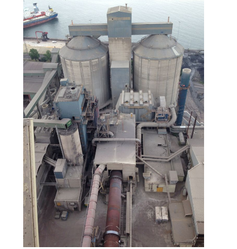 Star trace offers turnkey solutions for cement plants. we are one of the leading project suppliers for cement plants and we work closely with our customers to fulfil their specific needs for a customized packaged solution. Cement plants specialized in the fabrication of these machines for 25 years and this enables us to be in a leading position in the field of cement plant & equipment. 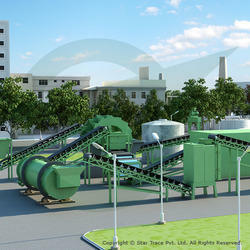 We are manufacturing, supplying, exporting cement plants equipment. Star trace’s coal beneficiation plant turnkey solutions are unmatched in technology.We work closely with our customers to fulfil their specific needs to provide a customized packaged solution. specialized in the fabrication of these machines for 25 years and this enables us to be in a leading position in the field of coal beneficiation plant & equipment. Setting up the Alumina ore beneficiation plant is done on turnkey basis by Star Trace We are one of the leading project suppliers for Alumina ore beneficiation plant and we work closely with our customers to fulfill their specific needs for a customized packaged solution. Specialized in the fabrication of these machines for 25 years and this enables us to be in a leading position in the field of Alumina ore beneficiation plant. Experts in Sand washing plant project supply, we offer turnkey solutions to our clients.we work closely with our customers to fulfill their specific needs for a customized packaged solution. Specialized in the fabrication of these machines for 25 years and this enables us to be in a leading position in the field of Sand Washing Plant. 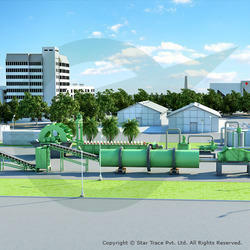 Star Trace offers Quartz Beneficiation Plant turnkey solutions . We are one of the leading project suppliers for Quartz Beneficiation Plant and we work closely with our customers to fulfill their specific needs for a customized packaged solution. Specialized in the fabrication of these machines for 25 years and this enables us to be in a leading position in the field of Quartz Beneficiation Plant & equipment. 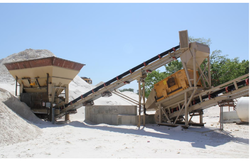 Star Trace offers Beach Sand Processing plant turnkey solutions .We are one of the leading project suppliers for Beach Sand Processing plant and we work closely with our customers to fulfill their specific needs for a customized packaged solution. Specialized in the fabrication of these machines for 25 years and this enables us to be in a leading position in the field of Beach Sand Processing plant. Limestone beneficiation Plant by Star Trace offers turnkey solutions .We are one of the leading project suppliers for Limestone beneficiation Plant and we work closely with our customers to fulfill their specific needs for a customized packaged solution. Specialized in the fabrication of these machines for 25 years and this enables us to be in a leading position in the field of Limestone beneficiation Plant. 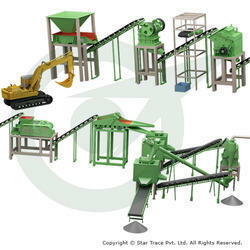 Silicon Sand Beneficiation Plant of Star Trace has latest technology incorporated & offers turnkey solutions. We are one of the leading project suppliers for Silicon Sand Beneficiation Plant and we work closely with our customers to fulfill their specific needs for a customized packaged solution. 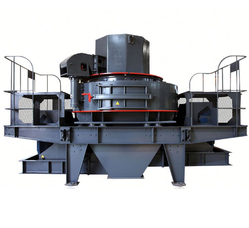 Specialized in the fabrication of these machines for 25 years and this enables us to be in a leading position in the field of Silicon Sand Beneficiation Plant. 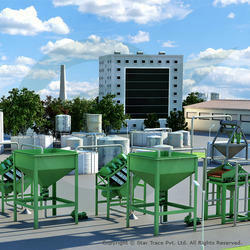 Star Trace offers turnkey solutions for agriculture fertilizer processing plant. 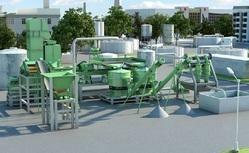 We are one of the leading project suppliers for agriculture fertilizer processing plant and we work closely with our customers to fulfil their specific needs for a customized packaged solution. Specialized in the fabrication of these machines for 25 years and this enables us to be in a leading position in the field of agriculture fertilizer processing plant & equipment. Star Trace offers turnkey solutions for Fixed Sieve Jig Concentrator Plant.We are one of the leading project suppliers for Fixed Sieve Jig Concentrator Plant and we work closely with our customers to fulfil their specific needs for a customized packaged solution.Specialized in the fabrication of these machines for 25 years and this enables us to be in a leading position in the field of Fixed Sieve Jig Concentrator Plant & equipment. Star Trace offers turnkey solutions for Movable Sieve Jig Concentrator Plant .We are one of the leading project suppliers for Movable Sieve Jig Concentrator Plant and we work closely with our customers to fulfil their specific needs for a customized packaged solution.Specialized in the fabrication of these machines for 25 years and this enables us to be in a leading position in the field of Movable Sieve Jig Concentrator Plant & Equipment. 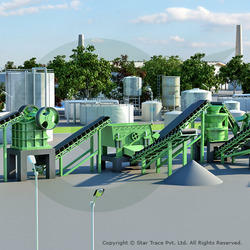 Star Trace offers turnkey solutions for Movab Pilot Plant For Fe Recovery From Below 10mm Slag.We are one of the leading project suppliers for Pilot Plant For Fe Recovery From Below 10mm Slag and we work closely with our customers to fulfil their specific needs for a customized packaged solution.Specialized in the fabrication of these machines for 25 years and this enables us to be in a leading position in the field of Pilot Plant For Fe Recovery From Below 10mm Slag & Equipment. Star Trace offers turnkey solutions for Quartz Washing Plant .We are one of the leading project suppliers for Quartz Washing Plant and we work closely with our customers to fulfil their specific needs for a customized packaged solution.Specialized in the fabrication of these machines for 25 years and this enables us to be in a leading position in the field of Quartz Washing Plant & Equipment. 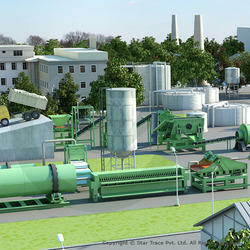 Star Trace offers turnkey solutions for Quartz Sand Plant. We are one of the leading project suppliers for Quartz Sand Plant and we work closely with our customers to fulfil their specific needs for a customized packaged solution.Specialized in the fabrication of these machines for 25 years and this enables us to be in a leading position in the field of Quartz Sand Plant & Equipment. Star Trace offers turnkey solutions for Screening Plant.We are one of the leading project suppliers for Screening Plant and we work closely with our customers to fulfil their specific needs for a customized packaged solution.Specialized in the fabrication of these machines for 25 years and this enables us to be in a leading position in the field of Screening Plant & Equipments. 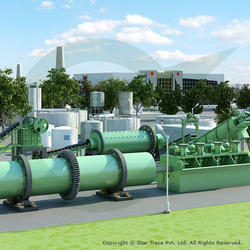 Star Trace offers turnkey solutions for Spiral Concentrator Plant. We are one of the leading project suppliers for Spiral Concentrator Plant and we work closely with our customers to fulfill their specific needs for a customized packaged solution.Specialized in the fabrication of these machines for 25 years and this enables us to be in a leading position in the field of Spiral Concentrator Plant & Equipments. Star Trace offers turnkey solutions for Stone Crusher and Screening Plant.We are one of the leading project suppliers for Stone Crusher and Screening Plant and we work closely with our customers to fulfil their specific needs for a customized packaged solution.Specialized in the fabrication of these machines for 25 years and this enables us to be in a leading position in the field of Stone Crusher and Screening Plant & Equipments. Star Trace Gold Ore Tailings has been providing a standard technique for extracting the mineral contents from the mining tailings. Star Trace will start the process by sample testing through the mineral content of the tailings. After the successful result, Star trace will supply the equipment and training process to extracting the mineral concentration. 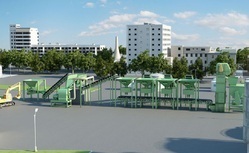 And also we will provide the client for the concentrated extraction. Tailings is always an unnecessary byproduct of the mining from an environment. The damaging materials into surrounding soil have leach environmentally by these tailings are also left in the piles. Star Trace offers turnkey solutions for Chromite Sand Beneficiation Plant.We are one of the leading project suppliers for Chromite Sand Beneficiation Plant and we work closely with our customers to fulfil their specific needs for a customized packaged solution. Specialized in the fabrication of these machines for 25 years and this enables us to be in a leading position in the field of Chromite Sand Beneficiation Plant & equipment. Star Trace offers turnkey solutions for Bench Scale Plant For Ash and Carbon.We are one of the leading project suppliers for Bench Scale Plant For Ash and Carbon and we work closely with our customers to fulfil their specific needs for a customized packaged solution. Specialized in the fabrication of these machines for 25 years and this enables us to be in a leading position in the field of Bench Scale Plant For Ash and Carbon equipment. Star Trace offers turnkey solutions for Wet Tabling Plant.We are one of the leading project suppliers for Wet Tabling Plant and we work closely with our customers to fulfil their specific needs for a customized packaged solution.Specialized in the fabrication of these machines for 25 years and this enables us to be in a leading position in the field of Wet Tabling Plant & Equipments.